A couple of weeks ago I went to the Generation Beauty Event by Ipsy. I was introduced to the brand Crown Brush and ever since then they're the only brushes I've been using! 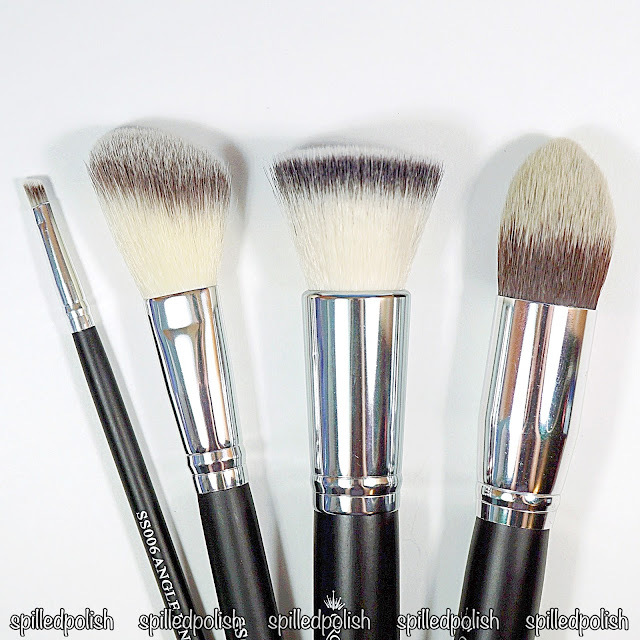 Crown Brush was generous enough to let me take some brushes and review them for all of you! 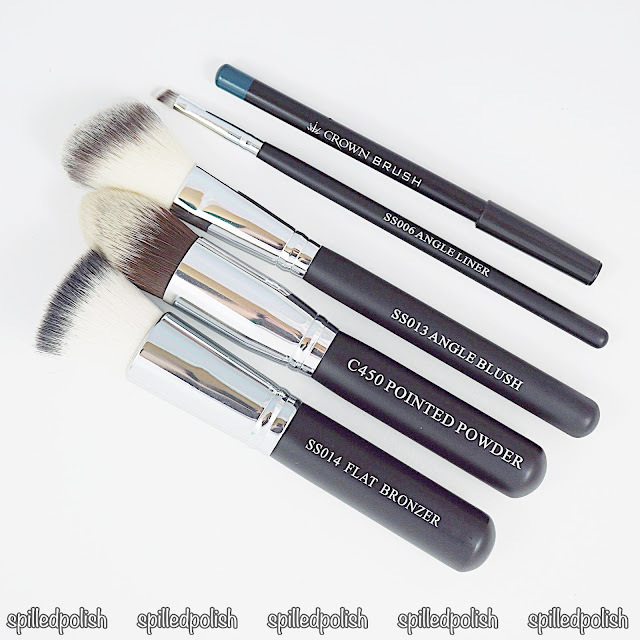 I received brushes from their Syntho Series (SS006 - Angle Liner Brush, SS013 - Angle Blush Brush, SS014 - Flat Bronzer Brush), and their Infinity Series (C450 - Pointed Powder Brush) I also received their Eyeliner Pencil in Sea Green which is amazing! The makeup brushes that I used to use are a lot stiffer, so these brushes did get some taking used to since they're so soft. I didn't think they would transfer foundation or blush over easily since they were so soft and light, but I was wrong; they definitely applied the right amount of makeup without looking to light or heavy. I used the Flat Bronzer Brush to apply my powder foundation. It went on like butter - so smooth and soft. I used their Pointed Powder Brush to apply my concealer under my eyes. I know I'm not using it for the right application, but since this brush is a little stiffer, I find it packs on the concealer better under my eyes (which helps hide those dark circles!). 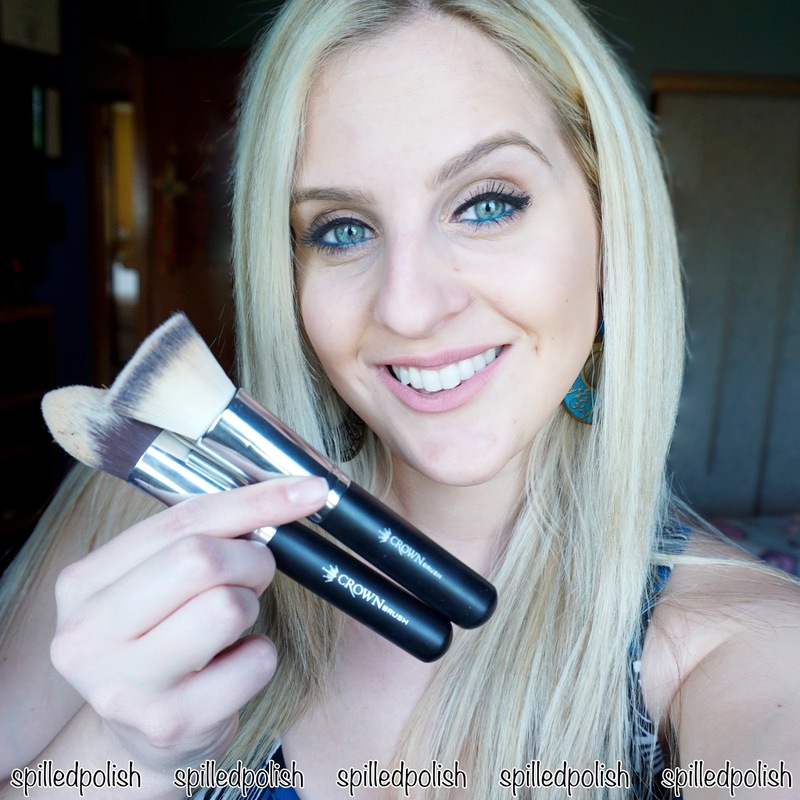 Their Angle Blush Brush was used for blush of course! This is probably my favourite brush of them all. I didn't expect it to apply blush so easily, so it was a great surprise to see how quickly it transferred product onto my skin.